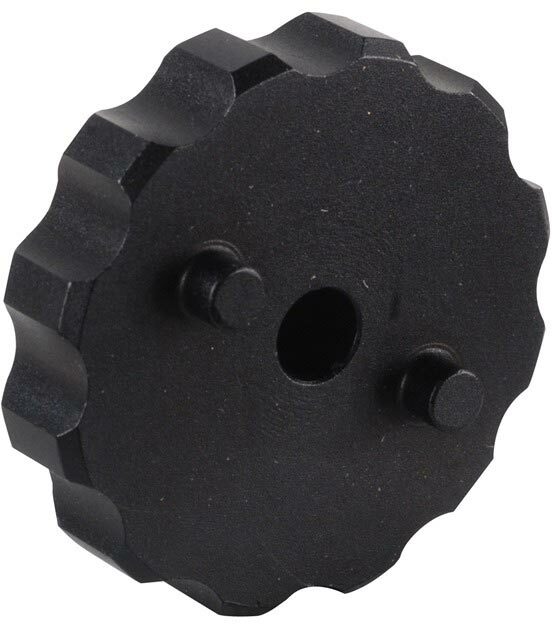 This AAC OEM End Cap Disassembly Tool makes taking down any Element 2 or Pilot 2 Silencer for cleaning and maintenance a simple and easy task, and is great for use as a spare for the range bag or for replacing the factory-supplied tool if it gets misplaced. Constructed of Hard Coat Anodized Aluminum, this End Cap Spanner tool's outer circumference incorporates several finger grooves for extra purchase when attempting to break free a stubborn or heavily fouled end cap. In order to properly care for, clean and maintain an Element 2 or Pilot 2 Silencer, this tool is a must-have item (AAC recommends cleaning 22 Rimfire Sound Suppressors every 500 rounds).